Scholastic Inc., the children’s publisher of favorites like the Harry Potter, Goosebumps and Clifford series, may be best known for its books, but a consumer watchdog group accuses the company of using its classroom book clubs to push video games, jewelry kits and toy cars. The Campaign for a Commercial-Free Childhood, an advocacy group based in Boston, said that it had reviewed monthly fliers distributed by Scholastic last year and found that one-third of the items sold in these brochures were either not books or books packaged with other items. 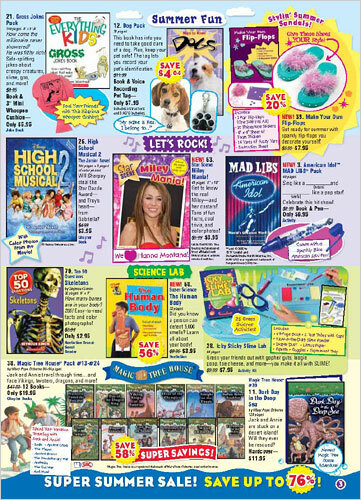 Based on a review of brochures in Scholastic’s Lucky Club for children in second and third grade, and its Arrow Club for fourth through sixth graders, the group said that 14 percent of the items were not books, while an additional 19 percent were books sold with other trinkets like stickers, posters and toys.